Welcome to the Gemstone Discovery app by JTV! Explore an exclusive and unique personal experience for creating and viewing your very own gemstone catalog. Created with your passion for gemstones in mind, explore professional knowledge, get tips for collecting, and learn all about how to become an expert JTV gemstone enthusiast! 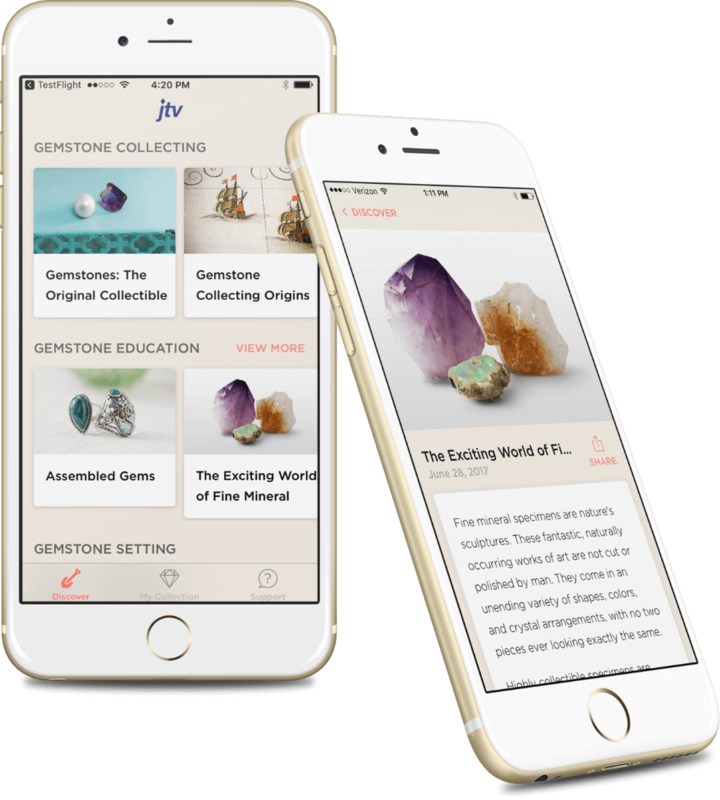 Explore gem collections, discover gemstone facts and learn straight from the experts with the JTV Gemstone Discovery app.